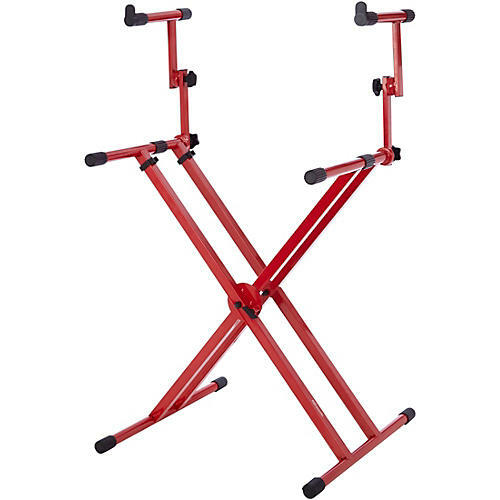 Dual-tiered keyboard stand in a striking red finish. Frameworks heavy-duty 2-tier "X" style keyboard stand with rubberized leveling feet. A perfect match for your NORD piano, but a great fit for any keyboard.